A few weeks ago Vitaly Raskalov, Russia's most famous roof-climber, reached the top of the Cheops pyramid in Egypt. His photos immediately became a media sensation all around the world. But this is just a small part of his achievements. Last winter Vitaly visited various countries in Asia and Europe and could be spotted on the roofs of the tallest buildings of many cities. If you could get that high up, of course. For this guy the world's biggest country was not big enough. 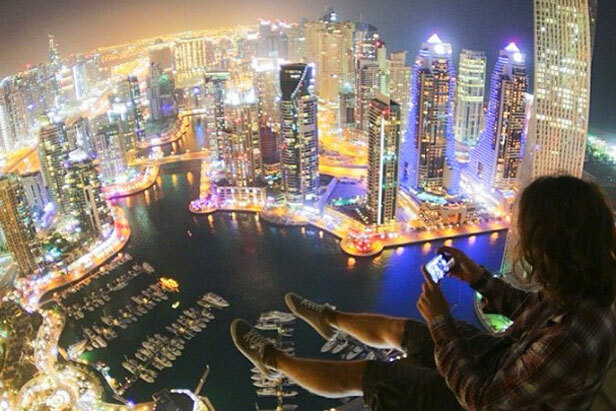 20 year-old Vitaly has climbed the highest buildings in Moscow and other Russian cities - including the Moscow-City business district skyscrapers, the Seven Sisters skyscrapers and the vertigo-inducing Russkiy Bridge in Vladivostok.